We used Processing, a visual artists’ programming language developed at MIT Media Lab, to simulate cellular mechanisms of morphogenesis – the generation of form and shape in embryonic tissues. Based on observations of in vivo time-lapse image sequences, we created animations of neural cell motility responsible for elongating the spinal cord, and of optic axon branching dynamics that establish primary visual connectivity. 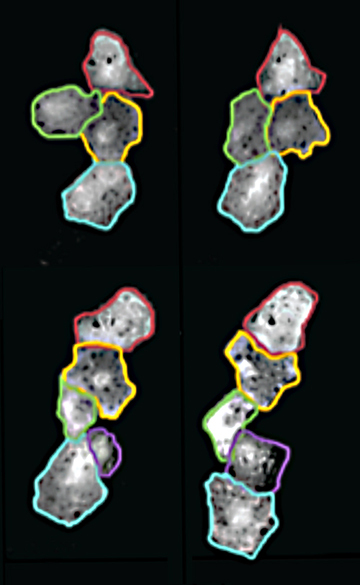 These visual models underscore the significance of the computational decomposition of cellular dynamics underlying morphogenesi.